***For updated info on the new Security Checkpoints at Downtown Disney effective 12/15/2016, check out this post from my Facebook page. ***Considering an upgrade to Concierge (Club) Level? Visit this post for more. With so many cost-effective and convenient off-site hotels near Disneyland, I’m often asked if it’s even necessary to stay on-site? The experience here at Disneyland is quite different from WDW, where hotel life is a big part of your visit. Disneyland is fully immersed in the city of Anaheim, with many hotels in walking distance and actually closer than the three Disneyland Resort Hotels Hotels. However, few compare to the Disney experience, only found at the big 3. 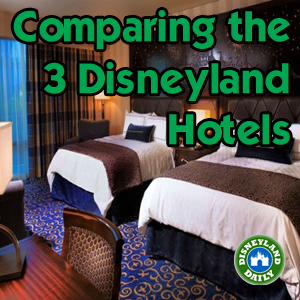 Here, I’ve compared the Disney hotels so you can decide which is the best fit for you and your family. Charging privileges for purchases and (most) meals to your room; the BBB, too! Within each hotel detail, you’ll notice I provide a link to book with Get Away Today. I recommend doing so to save money on your hotel, park tickets, character meals and more. 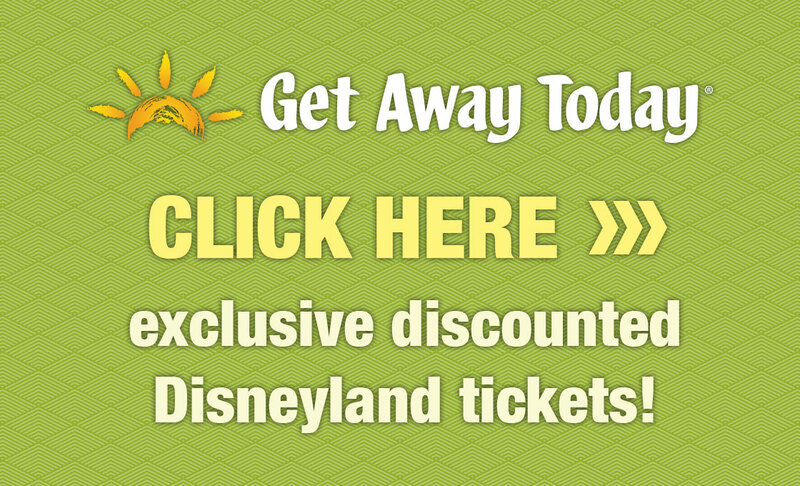 Check out this post for details on Get Away Today and how they can help you save money on your visit while providing excellent service, trusted by Disney for over 27 years. Also! 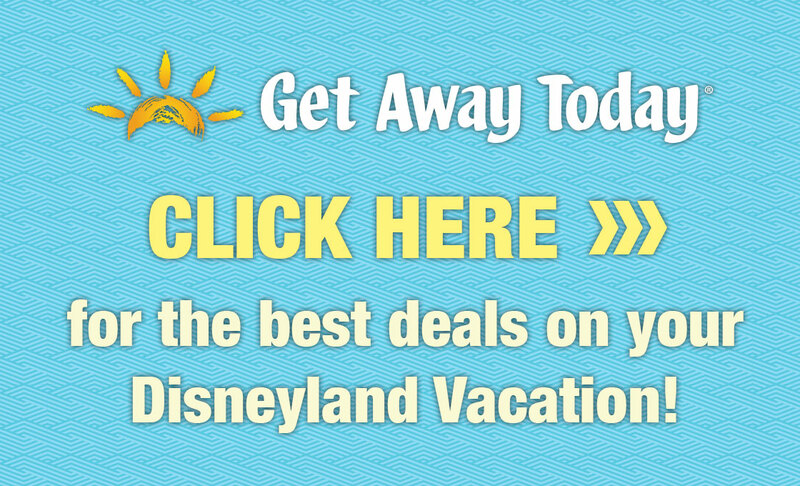 You can save an extra $10 on any 2-night stay by using promo code: DDaily when booking over the phone at 855-GET-AWAY or at www.getawaytoday.com. Good luck deciding! They’re all great options. Really bummed that I will be there while the pools at Disneyland Hotel are being renovated this year. How much will we be missing out if the Monorail Pool, waterslides and Minnie Spa are all closed? Would that be enough to steer you to a different hotel? We will be there at the end of April. Any chance the renovations are done early? Thanks. Love the site. 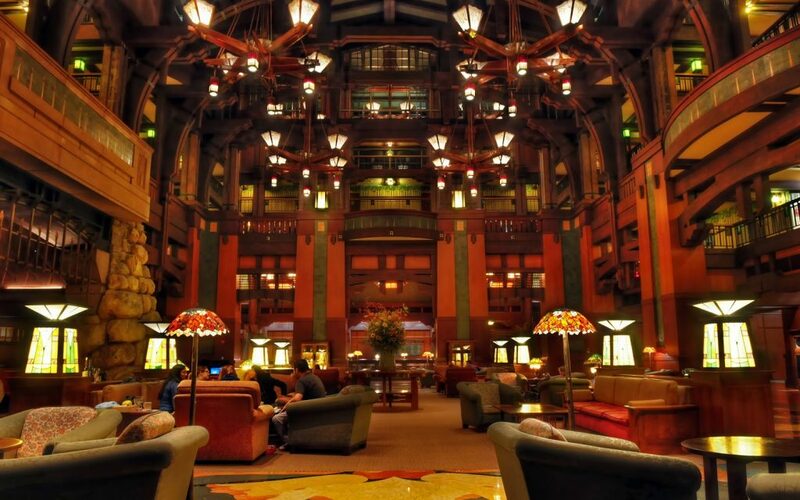 If you’re going to go to another hotel, go to the Grand Californian. The links I share after each hotel description can help you save money on each option. I doubt the renovations will be done early, but it’s hard to tell at this point. With the hotel pool renovation plans, you’re looking at about half of the pool being closed during each phase. Hi Casey, We are bringing our 18 month old for the first time this month. Help me understand how far the hotels are from the parks…We were thinking of staying at DLH but then I read someone’s review and they said the walk is really long, especially if going back for noontime naps, which we plan on doing. What is your opinion of distance? Should we splurge on Grand Californian just because of the distance to the park? Also, DLH is renovating the pools when we will be there, think it will be noisy from construction? Girl needs to nap!!! Naps are important. You’re right! The location of the Grand is just so convenient, too. And, the newly redesigned rooms are lovely! I’ve read Disneyland Hotel pool is being refurbished until May 2019. Debating on Disneyland’s Paradise Pier or Grand California for young teens. Which hotel has bigger slide, pools, hot tubs that would appeal more to older kids? The Paradise Pier Hotel has a rooftop pool that is popular with bigger kids. You can also watch the fireworks from the 3rd floor deck at Paradise Pier. My kids are 11, 12, and 18 and still prefer the Grand Californian, however. They love the location and the “grandness” of it all. They both have many lovely qualities. You can’t go wrong with either one. Hi Casey- Love all your info!! We are planning a trip next year for my daughter’s 5th birthday but we haven’t been to DL since we took my son when he turned 5 in 2013! Last time we stayed at GC and loved it. This time, I’m debating between GC and DH and considering upgrading to concierge level. Is it worth the extra cost and which would hotel would you recommend? I love concierge level at the Disneyland Hotel. The lounge is fantastic and the food is good. Recommend! Looking at going to Disneyland for the first time with my wife. We have been to Disney World 4 times before. Is Paradise Pier a good hotel to stay? What is the best way of getting into the park from there? What is security like at Disneyland compared to Disney World since both entrances are so close to the parks? It really doesn’t add a huge amount of time, but some guests have been frustrated with not being able to cut through the Grand Californian Hotel that used to be available for such. Security at Disneyland can be pretty busy. I don’t recall seeing WDW have the lines that we have here at Disneyland. However, those lines stack up around 9:00am or 10:00am. 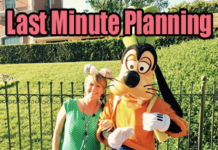 If you’re a WDW vet, you likely know how important it is to arrive early. If you arrive an hour prior to official park opening like I suggest with my touring strategies, you won’t see the huge lines. My favorite hotel to stay in is the Disneyland Hotel. The Grand Californian wins for location. My family is doing our first Disneyland trip for the first time. My kids are 2 and 4 years old. We will be there in November for 3 days. 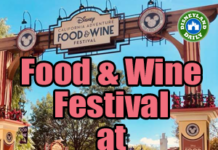 I’m planning on doing a character meal and leaning towards Breakfast with Minnie & Friends. Does this one require park admission? 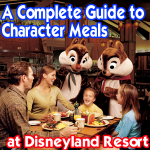 Also, which one is the best Resort Hotel Character Dining? Thank you. Minnie’s is my favorite in the park. Outside of the park, I like Storytellers at the Grand Californian because it’s unique, but also recommend Surf’s Up! with Mickey and Friends because you get to meet Mickey, Minnie and Stitch! This is the only option to meet Stitch within the parks and resort as a whole, outside of the Disney meet-n-greet. Can you do breakfast with Mickey and Minnie if you don’t stay at the Pacific Pier Hotel? Or is the meals related to whichever Hotel you stay at? Of course! You don’t have to stay at the hotel to dine. Enjoy! Two years ago I took my (then 4 year old) son to the Surf’s Up Breakfast. Was the highlight of the whole week for him. Took him the next day too – wasn’t quite as magical as the first day, but he was all smiles both breakfasts. Hi Casey. We are planning a trip for 2018 and will be our first to Disneyland. we are Disney world fanatics! We are debating on Disneyland hotel or Grand Californian. 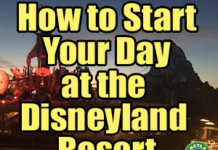 Do you know if walking distance from Disneyland hotel is really far? or GC should be a better choice? also i wanted to rent DVC points to stay at GC but dont want to miss experiencing the nice rooms instead of the studio/villas. Do you know if they are as nice as the regular rooms at GC? The villas are just as lovely as the rooms, as far as I have seen. The Disneyland Hotel is my favorite, but the distance is significant compared to the Grand Californian. It never bothers me, but if close proximity is important to you, go with the Grand. I would estimate that the walk from the Disneyland Hotel is 3/4 of a mile to the front gate and the Grand is 1/4 mile. Now, you can jump on the monorail in Downtown Disney (not too far into the Downtown area from the Disneyland Hotel) and get dropped in Tomorrowland if you want to avoid the walk all the way to the main entrance. That can help a bit on the walk. The monorail, otherwise, is kind of a novelty here. NOTHING like at WDW, where it’s an integral part of transportation. I’ve read that nightly fireworks can be viewed from PP rooftop pool. Can they be viewed from a location at DLH or anywhere else outside Disney land park? Also are monorail rides free when you stay at one of the 3 or is there a fee and how much? Thanks! This sight is very helpful! The monorail is free with your paid admission ticket that day. You have to have a Disneyland park ticket to ride it. Paradise Pier is a great option for fireworks viewing. Far better than what you will find at either of the other hotels. Recommend! If you don’t choose that location for fireworks, you can watch from between the two parks, in the esplanade. Music is piped into that area, too. Thank for all of the great tips! We are looking at staying at a DLR in early October. What’s the difference between Disney’s Grand Californian Hotel & Spa and the VILLAS AT Disney’s Grand Californian Hotel & Spa (assuming I can rent points from a DVC owner). DVC properties tend to be bigger – including suites and villas and such. The Hotel has more standard rooms. Both are great options. Between Disneyland hotel & Paradise Pier hotel, which one has the shortest walk to the park entrances? Thanks! They’re technically tied because you can no longer walk through the Grand Californian Hotel to enter Downtown Disney as a short cut. Paradise Pier hotel guests will enter at the security checkpoint near ESPN zone – which is right in front of the Disneyland Hotel. Thank you for all of your information! I have enjoyed reading through your many links & posts! 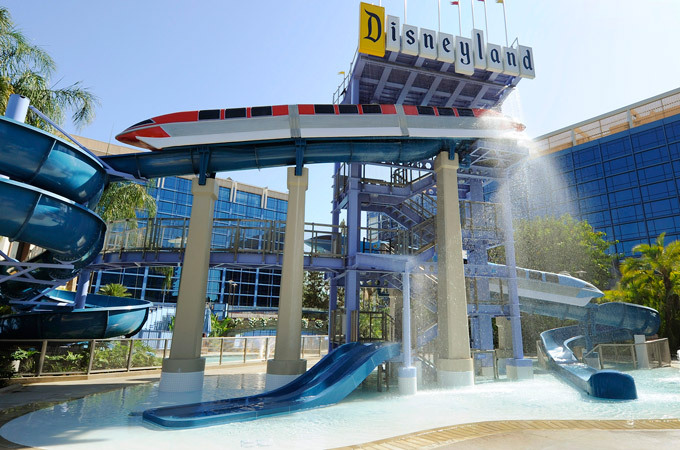 Question…is there a height or age restriction for the water slides at the Disneyland Hotel? There are no official height requirements for the slides, but little ones are encouraged to wear life jackets on them. They’re lots of fun! Considering a stay at the Grand Californian this July, but am worried about missing out on the *full* experience because of all of the renovations going on. Any thoughts on that? Has it looked like a hot mess over the past few months? I’ve never stayed there before and this would be a celebratory splurge (I’m turning 30, woo!) so I’d ideally want access to all the pools, restaurants, main lobby lounge areas, etc etc etc. Any advice would be much appreciated, and thanks so much for everything you do (and for keeping me entertained on FB & IG!). It’s not a mess. The pools are totally done or very close to it. And, they’ve done a great job at concealing any renovations within the hotel. Recommend! Compared to the good neighbor hotels across the street from the main enterence are the big 3 really worth the extra cost? I have 5 nights saved at the Fairfield but am considering switching to one of these hotels but I’m not sure if it’s really worth the extra money. It’s all really personal preference. Some people think it’s totally worth it to have the Extra Magic Hour and on site perks at the hotel. Some people are totally satisfied with the off-site options. Both are great – just depends on what you think would fit for your party. So we are planning a stay at either PP or DH and have before used entry from the California Grand but recently saw they are no longer letting people cut through unless you are staying at that resort. Do you know If this is true? It just is so much easier when walking with small children. Check the link at the top of this post for lots of details and a map on the new security checkpoints. 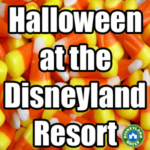 You can only use the entrance from Disneyland Drive if you are staying at the GCH. This is such a great site! Thank you for all your dedication and great info :). 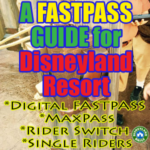 I am a CA native and have gone to DL since I was little and reading this I realize how much has changed since I last went! I will be taking my twin 1 year olds for their 1st birthday to DL and we will be staying 2 nights. Any recommendation on which of the 3 DLR hotels you would pick? I am trying to decide between Grand Californian and Disneyland Hotel. Thanks!! Disneyland Hotel is my favorite. Most magic in my opinion. But, the Grand is closer. You can’t go wrong with either! We will be in California for Christmas this year and would like to stay at a Disney hotel. Do you have any advice on Disney over the Christmas holidays? We will be in California from the 20th to the 28th. Hi Casey. Thanks for your great information on the Disneyland Resorts. Could I please ask for some suggestions for our family trip planned for September/October 2018? My brother, sister, parents and I would love to visit with our children: 7 adults and 7 children in total. Is a suite or several rooms the best option? Obviously price is important but we’re willing to spend extra for perks such as a view, meeting stars and early entry. When staying at one of the big 3, is early entry ONLY if you have a 3 day+ ticket? We are a family of 4 planning to stay at Disneyland Hotel and I am having trouble selecting the right room type. I am looking for the best bang for my buck. I am thinking either the Deluxe View or Premium View as I believe those are a good balance between view and price. But I am having a hard time finding the difference between the two. The Disney website lists both as having a pool view. Do you know what the exact difference is? Also, do you have any other tips for special room requests to make? Very much appreciate any help you can give me! Hey, Sarah. I’m in the park on Wednesday of this week. Let me look into this further and I’ll reply again with more info. Soon! What was your question, Melissa? Your site is awesome! Very insightful indeed. My question is the following – I plan to travel with my 4 year old son and mother who is active. Would you recommend going at the end of July or early November? I ask because I’m late in the game planning but think I can get it done. However, people are telling me I should wait until November to avoid the crowds. Hmmm? Thanks in advance. Any other information you think would help would be appreciated. Thanks again. We’re planning to take our girls this summer to Disneyland for their birthdays and want to make reservations for a character breakfast. 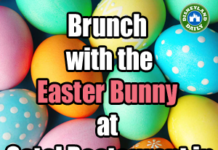 I’ve read and re-read much of your site but can’t remember…if we wanted to do a character breakfast located in Disneyland Park, do we have to forfeit our ticket entrance if we’re not doing the park that day? We plan to get in on Thursday and have other plans that Friday but want to avoid the breakfast on the same day as our admission to keep from taking away our park time. Thanks for your help. First thank you for sharing all your knowledge about WDW. But being an over thinker/planner I have to ask a couple of questions regarding my specific situations please. ? First, I only have a 22 month old little girl. People have suggested to wait to go until she’s about five. But of course I’d like to go sooner. What are your thoughts? Second I’d like to take my parents with us. Both have walking issues. If I understood correctly I can reserve motorized chairs there at the hotel upon check in. Not having to wait to do it upon entering the park and reducing the risk of them running out by the time we get to the park. Is that correct? I’d like to stay 4 nights. Take our time, visit DL two days and one day at CA. Now, taking their ambulatory situation and having a 3 yr old. Which hotel will be the most convenient? Does the monorail pick up directly at each hotel? We have not been to DL for abt 25 yrs or more. So it’ll be completely new to us. Lol. The Grand Californian Hotel is absolutely the most convenient option. It’s closest to the parks and has wonderful accommodations. You won’t need the monorail because you’ll be closer to the parks than the monorail station and not far at all from the security check point. I highly recommend staying there with your crew. The monorail doesn’t pick up directly at any hotels and is really more of a novelty at DLR rather than a necessity like at WDW. Hope so much this helps! Please let me know what other questions you have. I just wanted to add an experience I had that is a helpful tip. I’ve stayed at all 3 and been to Disney 10 times. I stayed at the Disneyland Hotel for the first time in 2015. My intention was to use the monorail but it was so hot that it closed down and we walked to and from the hotel all week. Its not far but at the end of a long day, that 15 min seems like a lifetime in 100 plus heat. There is no air conditioning on the monarails so its a safety features. Had I known that, I would have stayed at Grand Californian. My favorite. Thanks for all these tips and the comparisons. Great info! Good info, Jamie. Thank you! Do the rooms at both the Disney Hotel and Paradise Pier have fridges and microwaves? I think we were looking at Paradise Pier because of cost, however just realised the pool facilities are on the roof and I’m not good with heights. Is the height view hidden with fences, shrubs etc. These are refrigerators in each room, but no microwaves. The pool at Paradise Pier is lovely, but if heights are a concern, I would go with The Disneyland Hotel. Great pools. No heights. 🙂 The Grand is lovely, too. Is it worth staying at one of the hotels for the magic morning hour? We booked the Disneyland hotel specifically for the hour in the mornings to avoid long lines but plan on spending not much time at the hotel. Thanks! That extra hour is excellent! Don’t miss it. You can get a lot done. We just came home from WDW Art of Animation where the pools were so awesome for my young kids (7 and under). Where would you reccomend we stay at DLR for the best pool experience for my young kids? Hi, Becca. The Disneyland Hotel pool is my favorite because of the monorail slide. So much fun! In an earlier post you mentioned there were shared microwaves available to use at the Disneyland Hotel. Where are these microwaves located? (I’ve tried to get this information from several sources, but can’t get a consistent answer. Hopefully you can help!) Thank you so much! From what I understand, there is a shared space on each floor for vending machines and microwaves/ice, etc. You can pool hop if there is a problem with your hotels pool, even something minor like a slide being out. Hi! I currently have a package booked, staying at the GC with a 3 day PH ticket. Once we arrive, could we upgrade our tickets to a 4 day PH if we decided to? Thanks! You may do so at the ticket booths on site if you wish. Easy to do! Do you know which hotel pool is busier? We are going in october and my son loves going down the slides but not if it’s a 15 minute wait each time. They’re all fairly busy, but you can only visit the pool associated with your hotel. Staying at Paradise Pier next week and just wondering what the walk is like to the main entrances to the parks. Would you suggest taking the monorail in Downtown Disney to Disneyland? Or using the Grand CA entrance for quicker entry? Or would walking it be the best option? We’ve got a 10 and 7 year old. It’s really not too far from Paradise Pier, but some people like to take the monorail to avoid getting too tired. I recommend your first entry into Disneyland to be through the gates. Walking through the tunnels is magical and seeing the flower Mickey and all that is in the front of the parks, plus walking down Main Street is important, in my opinion. Then, feel free to use the monorail back to DTD after your first time in. That will save some time. It depends on where you’re starting. Yes, the line will build at the Grand entrance. If you want WOC passes immediately, that’s a good place to start. If you’re looking for Elsa instead, I suggest going through the main entrance. Have you ever used the pool cabanas at the Grand Californian or Disneyland hotels? We are staying at the Grand and thinking of getting a cabana for the day to relax. (Plus we have a baby and the cabana just makes it easier.) We are trying to decide if we even have the option of using the pool at the Disneyland hotel instead, and if we do which hotel to pick. Plus we would like just a general review of the experience as well. I have never used a cabana and they’re pricey at $299 a day for a full day and $149 for a half day. You cannot pool hop, so you must use the pool wherever you’re staying. I’m sure they accommodations are lovely, but they’re out of my budget. I am a frequent visitor of Shannon’s site. We are considering a visit to DLR (and Aulani!) as our honeymoon next September. With our research we have spent a lot of time on your page, and I just wanted to say that it is GREAT! 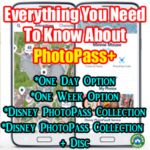 As someone who is so used to planning WDW trips, there is a lot to learn about DLR and all of your information is so helpful. Of course, we still can’t decide on a hotel – I know there are only 3 options but they all seem unique and great in their own way. Thanks again. Congratulations on your engagement! If I had to choose, I’d go with the Disneyland Hotel. It’s mid-priced and old school fabulous. It really feels like vintage Disney to me and I prefer that over everything else. Please let me know if you have any other questions. Happy to help! Hi are there mini fridges in the Disneyland Hotel? Yes, there are mini fridges in each room and shared microwaves available, too. On the website it talks about being able to use the other three hotels’ ammenties. Does it include pools? You are not. I’m so sorry, Sarah! I wish you could. Are you able to pool hop if you’re staying at one of the big 3 and want to check out another one’s pool? I’m sure it’s a “no” but crossing my fingers!